The ContainerController class defines the relationship between a TextFlow object and a container. A TextFlow may have one or more rectangular areas that can hold text; the text is said to be flowing through the containers. Each container is a Sprite that is the parent DisplayObject for the TextLines. Each container has a ContainerController that manages the container; the controller holds the target width and height for the text area, populates the container with TextLines, and handles scrolling. A controller also has a format associated with it that allows some formatting attributes to be applied to the text in the container. This allows, for instance, a TextFlow to have one container where the text appears in a single column, and a second container in the same TextFlow with two column text. Not all formatting attributes that can be applied to the container will affect the text; only the ones that affect container-level layout. The diagram below illustrates the relationship between the TextFlow, its flowComposer, and the display list. [read-only] Returns the first character in the container. [read-only] Returns a ColumnState object, which describes the number and characteristics of columns in the container. [read-only] Returns the vertical extent allowed for text inside the container. [read-only] Returns the horizontal extent allowed for text inside the container. [read-only] Returns an ITextLayoutFormat instance with the attributes applied to this container, including the attributes inherited from its root element. [read-only] Returns the container display object that holds the text lines for this ContainerController instance. [read-only] Returns the coreStyles on this ContainerController. [read-only] Returns the flow composer object that composes and highlights text into the container that this controller manages. Stores the ITextLayoutFormat object that contains the attributes for this container. Specifies the horizontal scrolling policy, which you can set by assigning one of the constants of the ScrollPolicy class: ON, OFF, or AUTO. Specifies the current horizontal scroll location on the stage. [read-only] The InteractionManager associated with this TextFlow object. [read-only] Returns the root element that appears in the container. [read-only] Returns the styles on this ContainerController. [read-only] Returns the TextFlow object whose content appears in the container. [read-only] Returns the total number of characters in the container. Allows you to read and write user styles on a ContainerController object. Specifies the vertical scrolling policy, which you can set by assigning one of the constants of the ScrollPolicy class: ON, OFF, or, AUTO. Specifies the current vertical scroll location on the stage. Constructor - creates a ContainerController instance. Processes the Event.ACTIVATE event when the client manages events. Handle a scroll event during a "drag" selection. Called to request clients to begin the forwarding of mouseup and mousemove events from outside a security sandbox. Clears the style specified by styleProp from this FlowElement. Processes the Event.DEACTIVATE event when the client manages events. Processes an edit event (CUT, COPY, PASTE, SELECT_ALL) when the client manages events. Called to inform clients that the the forwarding of mouseup and mousemove events from outside a security sandbox is no longer needed. Processes the FocusEvent.KEY_FOCUS_CHANGE and FocusEvent.MOUSE_FOCUS_CHANGE events when the client manages events. Processes the FocusEvent.FOCUS_IN event when the client manages events. Processes the FocusEvent.FOCUS_OUT event when the client manages events. Returns the area that the text occupies, as reflected by the last compose or update operation. Figure out the scroll distance required to scroll up or down by the specified number of lines. Returns the value of the style specified by the styleProp parameter. Processes the IMEEvent.IME_START_COMPOSITION event when the client manages events. Marks all the text in this container as needing composing. Determines whether the container has text that requires composing. Processes the KeyboardEvent.KEY_DOWN event when the client manages events. Processes the FocusEvent.KEY_FOCUS_CHANGE event when the client manages events. Processes the Keyboard.KEY_UP event when the client manages events. Processes the ContextMenuEvent.MENU_SELECT event when the client manages events. Processes the MouseEvent.DOUBLE_CLICK event when the client manages events. Processes the MouseEvent.MOUSE_DOWN event when the client manages events. Processes the MouseEvent.MOUSE_MOVE event when the client manages events. Client call to forward a mouseMove event from outside a security sandbox. Processes the MouseEvent.MOUSE_OUT event when the client manages events. Processes the MouseEvent.MOUSE_OVER event when the client manages events. Processes the MouseEvent.MOUSE_UP event when the client manages events. Client call to forward a mouseUp event from outside a security sandbox. Processes the MouseEvent.MOUSE_WHEEL event when the client manages events. Sets the range of selected text in a component implementing ITextSupport. 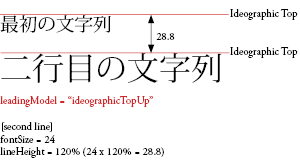 Sets the width and height allowed for text in the container. Sets the value of the style specified by the styleProp parameter to the value specified by the newValue parameter. Processes the SoftKeyboardEvent.SOFT_KEYBOARD_ACTIVATING event when the client manages events. Processes the TextEvent.TEXT_INPUT event when the client manages events. Adds a flash.display.Shape object on which background shapes (such as background color) are drawn. Adds a flash.display.DisplayObject object as a descendant of parent. Adds a flash.display.DisplayObjectContainer object to which selection shapes (such as block selection highlight, cursor etc.) are added. Adds a flash.text.engine.TextLine object as a descendant of container. Creates a context menu for the ContainerController. Gets the index at which the first text line must appear in its parent. Removes a flash.display.Shape object on which background shapes (such as background color) are drawn. Removes a flash.display.DisplayObject object from its parent. Removes the flash.display.DisplayObjectContainer object which contains selection shapes (such as block selection highlight, cursor etc.). Removes a flash.text.engine.TextLine object from its parent. If scrolling, sets the scroll rectangle to the container rectangle so that any lines that are halfway in view are clipped to the scrollable region. Returns the first character in the container. If this is not the first container in the flow, this value is updated when the text is composed, that is when the IFlowComposer's compose() or updateAllControllers() methods are called. Returns a ColumnState object, which describes the number and characteristics of columns in the container. These values are updated when the text is recomposed, either as a result of IFlowComposer.compose() or IFlowComposer.updateAllControllers(). 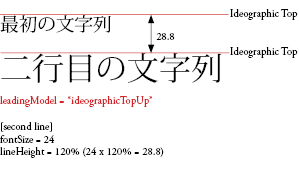 Returns the vertical extent allowed for text inside the container. The value is specified in pixels. 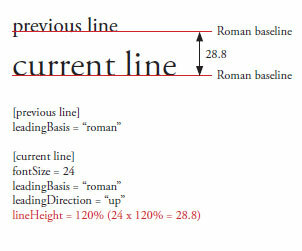 Returns the horizontal extent allowed for text inside the container. The value is specified in pixels. Returns an ITextLayoutFormat instance with the attributes applied to this container, including the attributes inherited from its root element. Returns the container display object that holds the text lines for this ContainerController instance. Returns the coreStyles on this ContainerController. Note that the getter makes a copy of the core styles dictionary. The returned object includes the formats that are defined by TextLayoutFormat and are in TextLayoutFormat.description. The returned object consists of an array of stylename-value pairs. Returns the flow composer object that composes and highlights text into the container that this controller manages. Stores the ITextLayoutFormat object that contains the attributes for this container. The controller inherits the container properties from the TextFlow of which it is part. This property allows different controllers in the same text flow to have, for example, different column settings or padding. Specifies the current horizontal scroll location on the stage. The value specifies the number of pixels from the left. Returns the root element that appears in the container. The root element could be a DivElement or TextFlow instance, for example. Returns the styles on this ContainerController. Note that the getter makes a copy of the styles dictionary. The returned object includes all styles set in the format property including core and user styles. The returned object consists of an array of stylename-value pairs. Returns the TextFlow object whose content appears in the container. Either the textFlow and rootElement values are the same, or this is the root element's TextFlow object. For example, if the container's root element is a DivElement, the value would be the TextFlow object to which the DivElement belongs. Returns the total number of characters in the container. This can include text that is not currently in view, if the container is scrollable. This value is updated when the text is composed (when the IFlowComposer's compose() or updateAllControllers() methods are called). Allows you to read and write user styles on a ContainerController object. Note that reading this property makes a copy of the userStyles set in the format of this element. Specifies the current vertical scroll location on the stage. The value specifies the number of pixels from the top. Constructor - creates a ContainerController instance. The ContainerController has a default compositionWidth and compositionHeight so that some text appears in the container if you don't specify its width height. container:Sprite — The DisplayObjectContainer in which to manage the text lines. compositionWidth:Number (default = 100) — The initial width for composing text in the container. compositionHeight:Number (default = 100) — The initial height for composing text in the container. This example extends ContainerController to override its activateHandler() method with a custom activateHandler() method. The example requires an application that triggers the activateHandler() method. Adds a flash.display.Shape object on which background shapes (such as background color) are drawn. The default implementation of this method, which may be overriden, adds the object to container just before the first flash.text.engine.TextLine child, if one exists, and after the last exisiting child otherwise. Adds a flash.display.DisplayObject object as a descendant of parent. The default implementation of this method, which may be overriden, adds the object as a direct child of parent at the specified index. 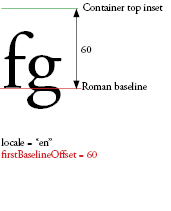 This is called to add InlineGraphicElements to the TextLine or container. Adds a flash.display.DisplayObjectContainer object to which selection shapes (such as block selection highlight, cursor etc.) are added. 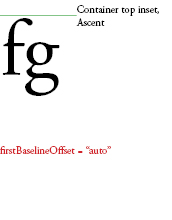 The default implementation of this method, which may be overriden, has the following behavior: The object is added just before first flash.text.engine.TextLine child of container if one exists and the object is opaque and has normal blend mode. In all other cases, it is added as the last child of container. Adds a flash.text.engine.TextLine object as a descendant of container. The default implementation of this method, which may be overriden, adds the object as a direct child of container at the specified index. mouseX:int — The horizontal position of the mouse cursor on the stage. mouseY:int — The vertical position of the mouse cursor on the stage. Clears the style specified by styleProp from this FlowElement. Sets the value to undefined. Creates a context menu for the ContainerController. Use the methods of the ContextMenu class to add items to the menu. You can override this method to define a custom context menu. This example extends ContainerController to override its editHandler() method with a custom editHandler() method. The example requires an application that triggers the editHandler() method. event:FocusEvent — The FocusEvent object. This example extends ContainerController to override its focusInHandler() method with a custom focusInHandler() method. The example requires an application that triggers the focusInHandler() method. Returns the area that the text occupies, as reflected by the last compose or update operation. 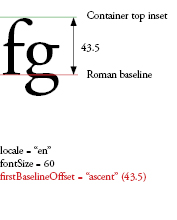 The width and the height might be estimated, if the container is scrollable and the text exceeds the visible area. Rectangle — describes the area that the text occupies. 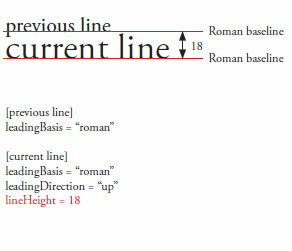 This example uses getContentBounds() to draw a border around the text. Gets the index at which the first text line must appear in its parent. 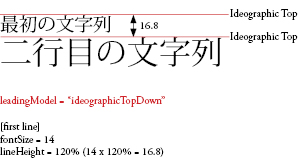 The default implementation of this method, which may be overriden, returns the child index of the first flash.text.engine.TextLine child of container if one exists, and that of the last child of container otherwise. int — the index at which the first text line must appear in its parent. Figure out the scroll distance required to scroll up or down by the specified number of lines. Negative numbers scroll upward, bringing more of the top of the TextFlow into view. Positive numbers scroll downward, bringing the next line from the bottom into full view. When scrolling up, for example, the method makes the next line fully visible. If the next line is partially obscured and the number of lines specified is 1, the partially obscured line becomes fully visible. numLines:int — The number of lines to scroll. styleProp:String — The name of the style property whose value you want. * — The current value for the specified style. event:IMEEvent — The IMEEvent object. This example checks whether invalidateContents() causes the text flow to be damaged. Boolean — true if the container requires composing. This example checks to see if the text flow is damaged after replacing text in the span. event:KeyboardEvent — The KeyboardEvent object. This example extends ContainerController to override its keyUpHandler() method with a custom keyUpHandler() method. The example requires an application that triggers the keyUpHandler() method. This example extends ContainerController to override its menuSelectHandler() method with a custom menuSelectHandler() method. The example requires an application that triggers the menuSelectHandler() method. event:MouseEvent — The MouseEvent object. This example extends ContainerController to override its mouseDoubleClickHandler() method with a custom mouseDoubleClickHandler() method. The example requires an application that triggers the mouseDoubleClickHandler() method. Client call to forward a mouseMove event from outside a security sandbox. Coordinates of the mouse move are not needed. This example extends ContainerController to override its mouseOverHandler() method with a custom mouseOverHandler() method. The example requires an application that triggers the mouseOverHandler() method. Client call to forward a mouseUp event from outside a security sandbox. Coordinates of the mouse up are not needed. Removes a flash.display.Shape object on which background shapes (such as background color) are drawn. The default implementation of this method, which may be overriden, removes the object from its parent. Removes a flash.display.DisplayObject object from its parent. The default implementation of this method, which may be overriden, removes the object from container if it is a direct child of the latter. This method may be called even if the object is not a descendant of parent. Any implementation of this method must ensure that no action is taken in this case. Removes the flash.display.DisplayObjectContainer object which contains selection shapes (such as block selection highlight, cursor etc.). The default implementation of this method, which may be overriden, removes the object from its parent if one exists. Removes a flash.text.engine.TextLine object from its parent. The default implementation of this method, which may be overriden, removes the object from container if it is a direct child of the latter. This method may be called even if the object is not a descendant of container. Any implementation of this method must ensure that no action is taken in this case. activePosition:int — The end of the selection that is changed when you extend the selection. 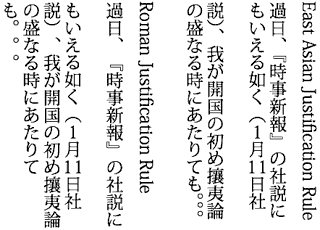 It can be either the start or the end of the selection, expressed as an offset from the start of the text flow. anchorPosition:int — The stable end of the selection when you extend the selection. It can be either the start or the end of the selection. Sets the range of selected text in a component implementing ITextSupport. If either of the arguments is out of bounds the selection should not be changed. Components which wish to support inline IME should call into this method. Sets the width and height allowed for text in the container. 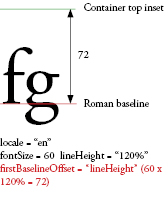 Width and height can be specified in pixels or NaN can be used for either value. NaN indicates measure that value. This can be used to find the widest line and/or the total height of all the content. 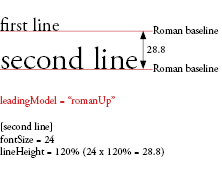 When NaN is specified as the width lines are broken with a maximum width of TextLine.MAX_LINE_WIDTH. When NaN is specified as the height the container is assumed to have unlimited height. The actual measured values can be ready back in getContentBounds. 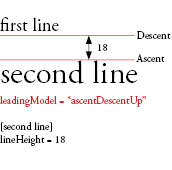 When the computed blockProgression property of TextFlow is BlockProgression.RL the meanings of width and height are exchanged. w:Number — The width in pixels that's available for text in the container. NaN indicates no specified width. h:Number — The height in pixels that's available for text in the container. NaN indicates no specified height. This example sets the composition width and height with setCompositionSize(). span.text += ") and compositionHeight ("
styleProp:String — The name of the style property whose value you want to set. newValue:* — The value that you want to assign to the style. event:Event — The SoftKeyboardEvent object. event:flash.events:TextEvent — The TextEvent object. This example extends ContainerController to override its textInputHandler() method with a custom textInputHandler() method. The example requires an application that triggers the textInputHandler() method. If scrolling, sets the scroll rectangle to the container rectangle so that any lines that are halfway in view are clipped to the scrollable region. If not scrolling, clear the scroll rectangle so that no clipping occurs. This example displays a text flow in two circles that are linked containers, meaning that the text that overflows the first container automatically flows into the second container. Notice that there are two containers and controllers but one text flow. This example displays two text flows, headings and body text, in two containers. The example creates columns for the body text and implements scrolling. The resizeHandler() method resizes the containers and composes the text flows when changes occur to the size of the stage.